Beautiful camisole leotard model Lily has a fold and seam decorated front. Material of the leotard is wonderful soft and skin friendly Cotton Lycra (32.6 % cotton, 60.8 % polyamide and 6.6 % lycra). 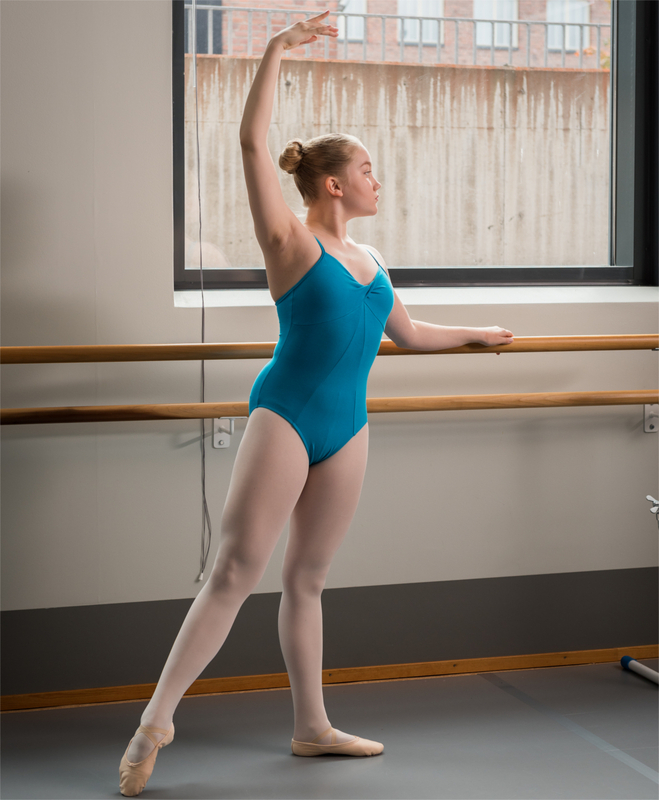 The leotard has a fascinating deep turquoise color and a full front beige liner.